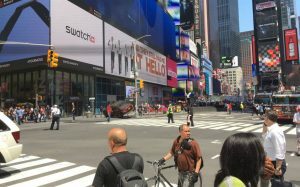 Multiple injuries as car hits people in New York’s Times Square – Royal Times of Nigeria. Police confirmed only that there were “multiple injuries. ”The vehicle was on fire, the AFP photographer said. 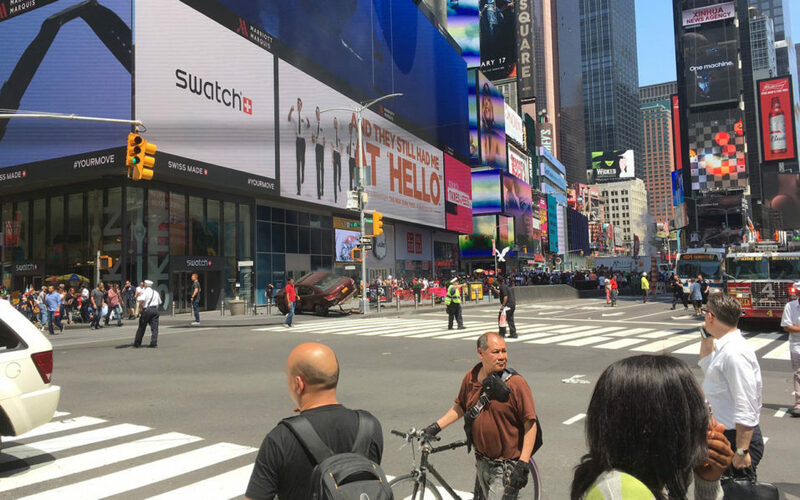 A maroon sedan vehicle lay partially upended on its side on the sidewalk with smoke and isolated flames spewing out of the hood, photographs on social media showed.